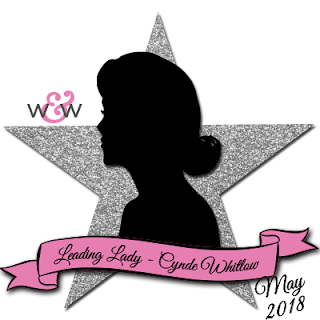 Our May Leading Lady Cynde Whitlow back for her triumphant third performance! If you missed her smashing debut you must see it...CLICK HERE or her utterly charming sensational second performance CLICK HERE. Today's card is a tremendous piece of masking and coloring! 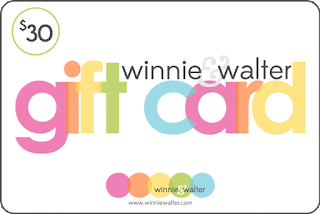 It's Cynde and I'm back for Take Three for Winnie & Walter! In today's video, I'm sharing how to stamp in shapes. It's one of my favorite things to do because you can get a lot of use not only out of your stamp sets, but your dies as well. It's always a great day when you can stretch your stamps and dies! 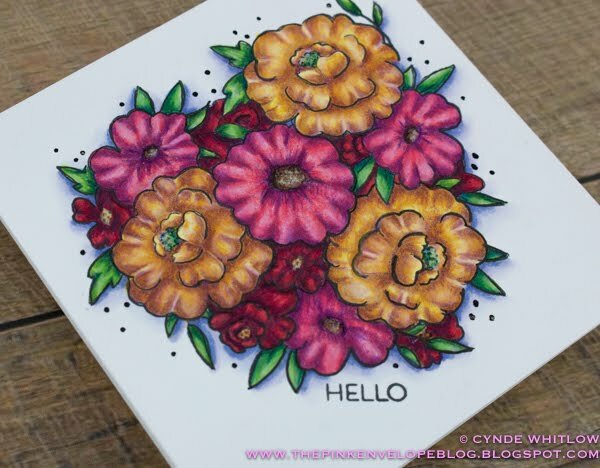 I used the In Bloom: Ashlee's Rosies Posies with Lydia Evans today. 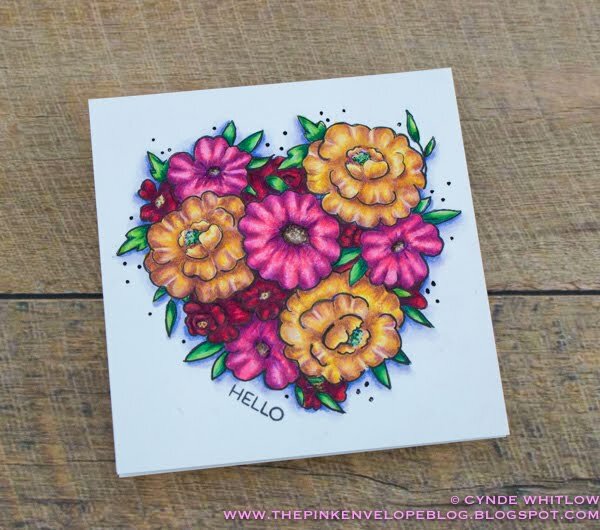 It is a stamp layering set, but the outline images are perfect for coloring! 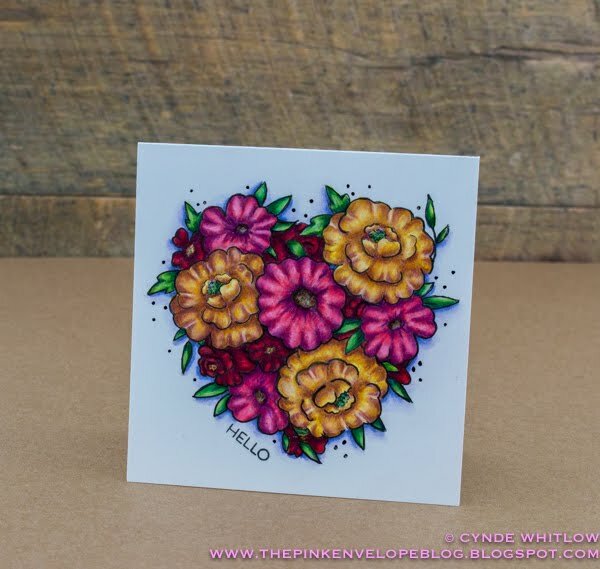 The important thing to keep in mind when choosing a stamps set for this technique, is you want to look for stamps that will lend well to the shape of what your stamping in. In this case I was stamping in the shape of a heart and the In Bloom: Ashlee's Rosies Posies worked well because the set has some nice round shapes to fit in the curves and the leaves are perfect for the bow of the heart and the point. To get the shape of my heart, I used the True Dotty Heart Cutaway and made a stencil out of acetate. You can use cardstock if you like, but I prefer acetate. They last longer, plus you can put some temporary adhesive on the back and use it as a stencil for ink blending. I talk about this in the VIDEO, but I also recommend that you cut your masks before you start. This can save a ton of time. Plus you only need to cut maybe two for each image. You can move them around as you need them. I decided to do Copic's and colored pencils, but you can only do one or the other if you like. You could also stamp all of these flowers in the layers as the stamp set is intended. I thought about using the Georgette Border Cutaway to make a faux border on my card panel, but change my mind. In the end my daughter batted her blue eyes and got herself a 4" x 4" note card hot off the press to give to a friend. Since there was enough going on with he flowers, I skipped the embellies outside of adding the black dots. I also didn't add any shimmer or glitter. Which for me is a huge deal, but again there was enough going on. Be sure to follow along folks! 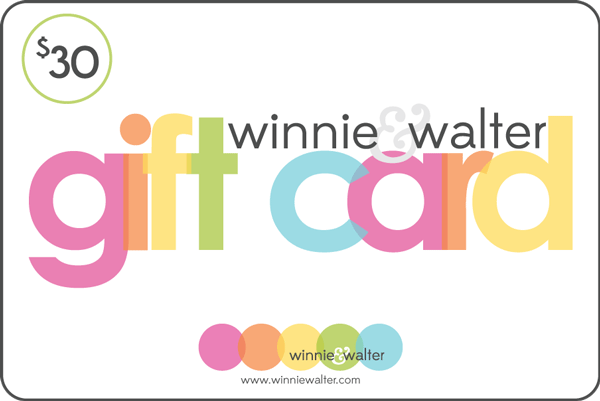 Next week is my last Take for Winnie & Walter and I will have a super fab giveaway! All you will need to do is leave a comment on my blog telling me which one of my projects was your fave and why! Wow--what a beautifully creative card! Beautiful coloring and I like the heart shape. Cynde's coloring style and masking is fabulous! Love that it's in a heart shape! That’s such a lovely card !! Such a delightful card! Thanks for sharing the technique video. flowers. The colors are beautiful.